Post-Convergence All-New Batman Makes Debut In DC Comics’ Convergence #1 Before June 2015’s Batman #41? Greg Capullo, the artist of DC Comics’ Batman working with writer Scott Snyder, provided a variant cover for DC Comics’ Convergence #1. It features the debut of the new All-New “Battle Mech” look Batman that we first saw in DC Comics’ post-Convergence June 2015 solicitations for Batman #41. 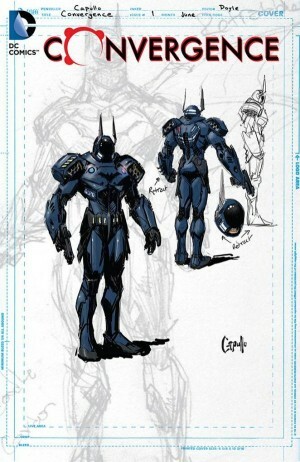 The new Batman is featured on the 1:100 BATMAN sketch variant cover for Convergence #1. 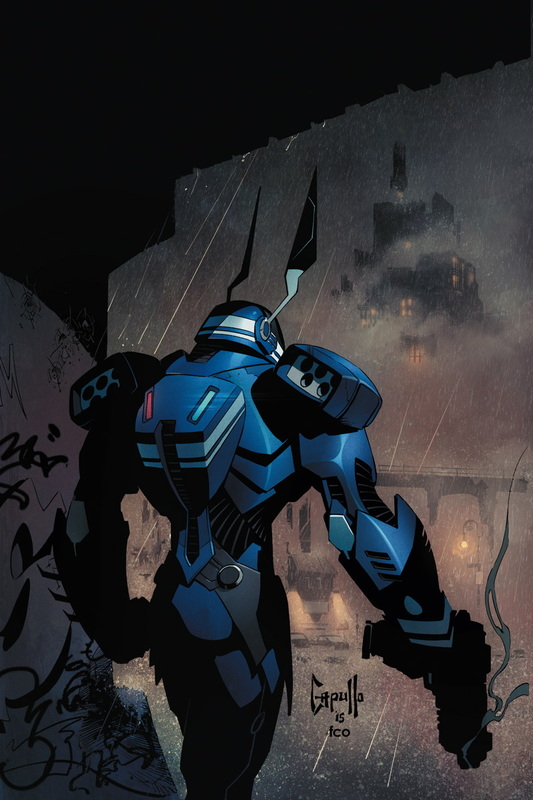 And, “Battle Mech” Batman still seemingly debuts in-comic in June 2015’s Batman #41, but I guess we’ll know for sure when Convergence #1 hits stands; if there is a pre-Convergence in-comic debut. Solicitation for June 2015’s Batman #41 is below.